It isn’t everyday that my kids actually praise dinner and ask for more... but tonight that actually happened! Busy days and running around from activity to activity make it really hard to get home cooked meals on the table, but this recipe for crunchy Rice Krispies coated chicken is quick and easy, plus it uses only minimal ingredients I almost always have on hand. 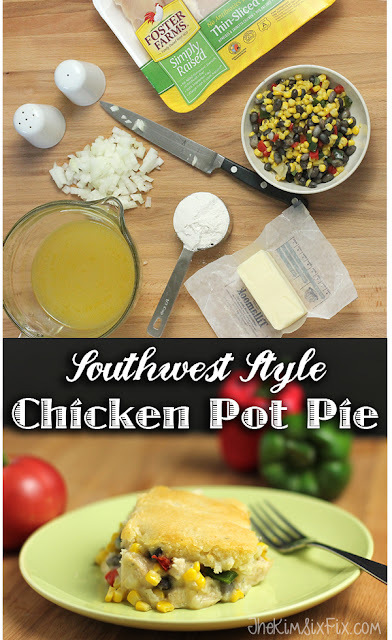 It is a great recipe for a busy mom, and the fact the kids ate ALL of it and even asked for more is a huge bonus. The recipe uses chicken, eggs, milk, flour and the star ingredient: Kellogg’s Rice Krispies. 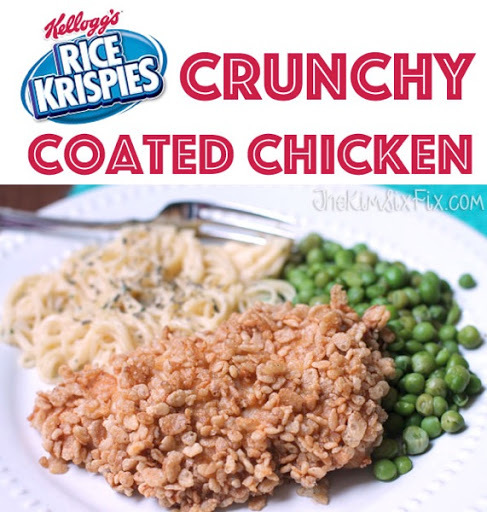 Not just for breakfast anymore, Rice Krispies is a perfect coating for chicken since it is easy to use and retains it’s crunchiness after baking. **It would be simple to modify this recipe using small pieces of chicken to create ‘nuggets.’ I didn’t do that because breading whole breast fillets was faster, but that is a kid-friendly modification. 2. Dip the breast fillets (or nuggets) in the batter and drop into the cereal. 3. Gently press the cereal onto the battered chicken. 4. Place in greased baking dish, making sure to now crowd the pieces. 5. Bake at 350 for 45 minutes (or until internal temperature reaches 165 degrees) The baking time can be significantly higher or lower depending on size of thickness of chicken pieces. I served my chicken with peas (my kids love peas) and some parmesan angel hair.